There’s the “OK so I need about 4 outfits. I’ve packed 32 just to be safe” people. Then there’s the “I’m going away for a week, so I’ll bring the shirt on my back and my toothbrush” people. Kevin and I both fall under Column A. HOWEVER, I do have to give him props - he’s really packing like a minimalist for this trip, only bringing the bare minimum. I on the other hand, am far from changing my ways. Yes, I’ll agree with him when he says we’ll be doing laundry while we’re away (since we’re gone for 3 months after all), and yes, it’s true that we can buy whatever we need there if we don’t pack it with us. But what if I’m not feeling any of the 6 shades of jean shorts I brought one day? What if I need that cute sundress that’s been sitting in my closet for 2 summers straight and hasn’t seen the light of day in 2 years? What about that shirt I like wearing once every 3 months? What if I suddenly need those and I don’t have them with me? It’ll be THE END OF THE WORLD. Well, I have a 60L pack to stuff all my things into and that’s what I have to work with. Not to mention I’ll be backpacking around SE Asia with it on my back so that’s a bit of an incentive to try to keep things on the lighter end. 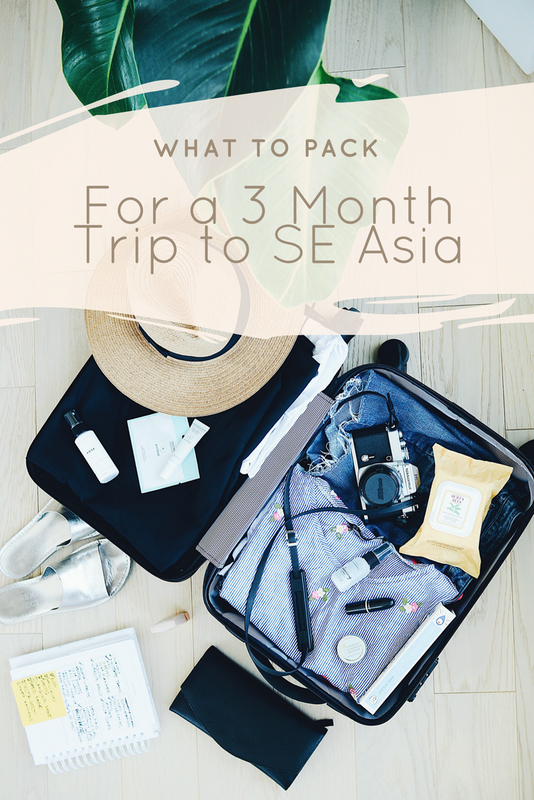 I won’t go on and list every piece of clothing I’m bringing with me but I do want to share our packing list with you so that if any of you are heading out for a lengthy trek around some warmer parts of the world, it may help as a guide. Click here to see our final packing list. I’ll let you know what worked and what didn’t work when we return from our trip. Stay tuned! FYI - You'll see something listed as "BAI HWAH EEW" on my list up there and you're gonna be like "WTF is that". I swear by that stuff. It's a Chinese medication/ointment that helps with legit everything: bruises, sore muscles, even pimples, but I'm bringing it mainly for the mosquito bites. Not only will it heal mosquito bites, but it stinks so bad, it'll keep new mosquitos away too. You can find it at your local Chinatown or for my Ottawa readers, they've got it at T&T too.